Top 10 Best ODI Batsmen in 2016: Modern cricket is witnessing a phase when the art of batsmanship is reaching new heights of glory and grandeur. Undoubtedly, one of the greatest factors has been the emergence of T20 cricket which has made batsmen adroit at getting into different sort of mindset and develop certain amount of flexibility. These days, batsmen don’t mind going after the bowlers right from the word go and in the same vein, required rates in excess of 10 or so doesn’t seem that daunting as well like it used to in the pre-T20 era. Now, as the year is about to end, we have decided to remember and cherish the top batters who lit up the 22 yards throughout 2016. We have considered volume of runs, average, strike-rate, impact and performances away, as the deciding factors to take and rank someone in the list. 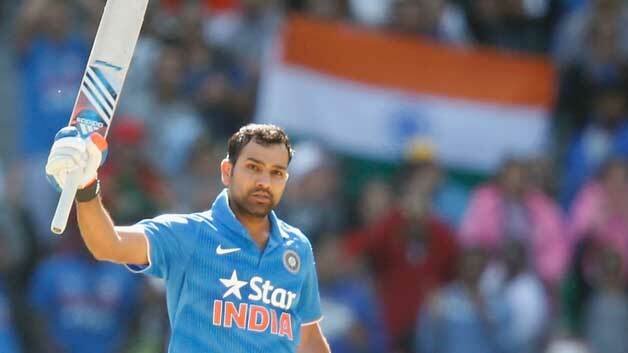 The Nagpur-born batsman; Rohit Sharma has made it a habit to convert fifties into hundreds and hundreds into 130s and 140s. Right in the first match of the year, the classical batsman had a terrific start as he slammed an unbeaten 171 at Perth and had a merry time Down Under. In the next match, he again hammered a century and came close to scoring third century in the last match of the 5-match ODI series against Australia but fell short just by 1 run. Rohit ended the Australian safari with 441 runs at 110. Against New Zealand as well, Sharma made a crucial 70 in the series decider to set the base for India’s series win. Overall, the Indian opener pummeled 564 runs in 10 innings at 62.66 and strike-rate of 95.21, this year.